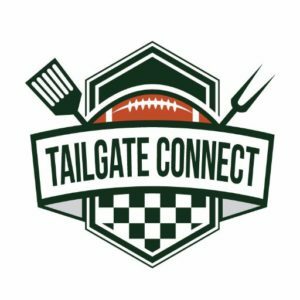 With about 90 RSVPS this was bound to be the biggest tailgate ever put on by the Red and Black Brigade. While we didn’t have 90 people swarming the grid, it was definitely our largest tailgate ever. I never took an official count, but it felt like 50 or so people. 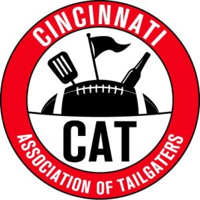 Thank you so much to everyone who came, drank, donated, and celebrated the wonderful thing that is Bearcats football with me. 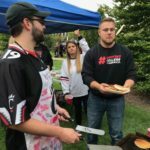 Showing up to this tailgate really gives my insane love of UC purpose and you’re all enablers! We finished 2 kegs, about 100 pancakes, and countless shots. I look forward to seeing each and every one of you again for homecoming. 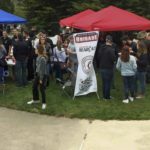 Thank you to all of the alumni band members who came and tailgated the game! 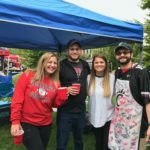 Special shout out to Tailgate connect for making the trip from Philly to see what UC tailgating is all about!